The Cable only, no other accessories. Length: 3.3 ft. (100 cm). High speed data syncing. Color: Black, White. If you received your item and you are satisfied with it. 100% Generic new and good quality. IPod Touch 3rd Gen. iPod Touch 2nd Gen. iPod Touch 4th Gen. iPod Touch 1st Gen. iPod Nano 3rd Gen. iPod Nano 6th Gen. iPod Nano 5th Gen. iPod Nano 2nd Gen. This device cable allows for the connection of any USB enabled peripheral with a (5 pin) mini B port to a PC or Apple Macintosh computer system. Connect your device to your PC or Mac with our high speed mini USB data sync cable. 1x For Apple Pencil Charging Cable. Length:3ft. For the 10.1 models its specifically for model GT-P5210 Tablet. There are many samsung 10.1 tablets, this one is specifically for the micro usb versions. 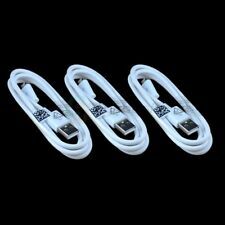 1 x 3 Foot Micro USB Cable. Compatible with: Barnes & Noble NOOK HD HD BNTV400, BNTV600. BNTV600A Tablets. Samsung Tab. Samsung Cellphone. You may also like. 36W (12V 2.58A) Charger Adapter For Microsoft Surface Pro 3,Surface Pro 4 (Conroe i5, i7 versions)-RC2-00001, Surface Pro 5, Surface Book,Surface Book 2,Surface Go. Model 1625,1706,1735; With 1.7 FT(0.5M) power cable, totally almost 6.6 FT length. Input: AC100-240V (worldwide use) Output: DC12V 2.58A 36W. Additional USB Port: 5V 1A USB 2.0. The USB port allows you to charge another device such as your phone at the same time. 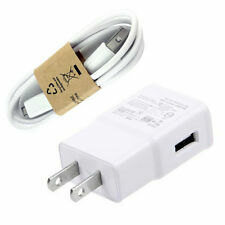 Magnetic snap-in power adapter charges Surface Package Included: 1 x AC Charger Adapter 1 x Power Cord. Microsoft Part # : 1623. Output: 5.2V 2.5A 13W. Compatible with: Surface 3. Features: * Special for device Microsoft Surface Pro 3 Tablet * This charger has over heating protection and short circuit protection * Genuine cable and pin can be used to provide consistent charging * Small and light weight design is convenient for everyone to carry * Get for the office, home and travel Specifications: * Input(AC):100v-240v 0.3A 50/60Hz * Output(DC): 12V 2580mA * Cable Length: 1.5M * Weight:252g Package Includes: * 1x AC Wall Charger Power Adapter for Microsoft Surfacse Pro 3/Pro 4 Tablet. Kurio 7 kids Tablet PC. The product details (appearance, label, Plug) may vary due to the different production batches. Connecter Size: Barrel tip As the pictures shown. Compatible Models. ACER ICONIA TAB A500 Tablet. ACER ICONIA TAB A200 Tablet. ACER ICONIA TAB A100 Tablet. Output: DC 12V 1.5A. Input: AC 100-240V, 50-60Hz. Power: 18W. Just give us the opportunity to resolve a problem. IPod, iPod Mini, iPod Classic, iPod Nano I II III IV V, iPod Touch. iPad 2G 3G. Output: DC 5.1V via USB Port. Cable specs. For use with the black micro USB cable included with Kindle Fire and Kindle Fire HD and with the white USB cable included with Kindle Paperwhite and Kindle. Fuhu Nabi DreamTab DMTab Touch Screen HD 8" Tablet. 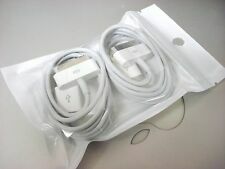 It is suitable for data transfer and for charging NABi Jr and NABi XD Tablets. Data and charging cable for NABi Jr and NABi XD Tablets. COMPATIBLE WITH : for ATT ZTE Trek 2 Trek2 HD K88 Tablet. Provides power to your tablet while simultaneously charging your tablet's battery. Small and lightweight for convenience, portability and storage. Transfer & Synchronize. APPLE iPad Mini / APPLE iPad Mini 2 / iPad Mini 3. APPLE iPad 4 5/ iPad Air / iPad Air 2. High Speed USB 2.0 Cable. iOS 11 Compatible & Tested. Model : 1706. Compatible Product LineFor Microsoft Surface Book,For Microsoft Surface Pro 3,For Microsoft Surface Pro 4. Special for device Microsoft Microsoft Surface Book & Surface Pro 3, Pro4(Core i5 i7,not M). For Samsung Galaxy Tab 10.1 GT-P7510MA Tablet. This cable is compatible with the tablet listed. Note 2: Tablet and software features are limited to the tablet's capability and the service provider's default settings. Length - 6FT. 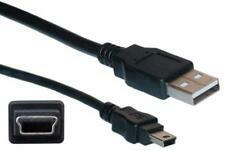 USB 2.0 cables combine functionality, performance, and value. Just plug-and-play for keyboards, mice, modems, printers, and other USB peripherals. Foil and braid shielding reduces EMI/RFI interference and twisted-pair construction reduces crosstalk thus ensuring high speed, error-free data transfer. Fits for Lenovo Tab 2 A10 A10-30 A10-70 Tablet. Output: 5.2V 2.1A Input: 100V-240V 50-60Hz. 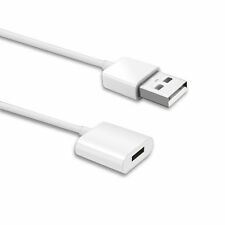 It is suitable for data transfer and for charging NABi Jr and NABi XD Tablets. Data and charging cable for NABi Jr and NABi XD Tablets. Suitable for replace broken or lost original cable. This flexible charging adapter cable is designed for Apple pencil. Function:Charging Cable. Interface Type:USB. Due to the difference between different monitors, the picture may not reflect the actual color of the item. COMPATIBLE WITH: for Samsung Galaxy Tab2 Tab 2 10.1 GT-P5113TS Tablet. Note 2: Tablet and software features are limited to the tablet's capability and the service provider's default settings. Tablet not included. USB Cable Specification Only Cable! No adapter! Cable Length: 6.5 feet. Just give us the opportunity to resolve a problem. Compatibility: This power adapter will fitRCA 10 VIKING PRO RCT6303W87 DK Tablet PC. LED Charging indicator. AC/DC Adapter Specification Output: DC. Use High quality IC version, Short circuit protection, Overload protection. B2G1 Free USB Sync Charger Cable Cord for Samsung Galaxy 1 2 TAB TABLET 10.1"
Compatibility: This power adapter will fitRCA RCT6077W2 RCT6272W23 Android Tablet. LED Charging indicator. AC/DC Adapter Specification Output: DC. Just give us the opportunity to resolve a problem.